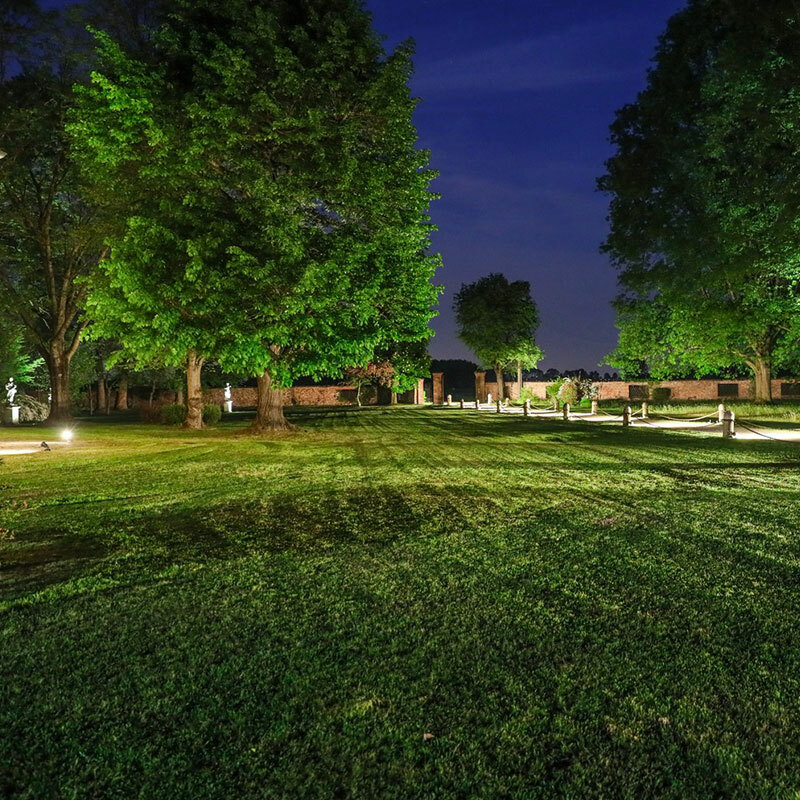 If you are looking for a wedding location in Italy, Lo Zerbo is the ideal solution to combine proximity to the fashionable Milan on one hand, the bucolic tranquility of Lower Lombardy on the other. Surrounded by a green oasis that stretches between the provinces of Milan, Varese and Pavia, Lo Zerbo is indeed a precious, charming niche within the Ticino Natural Reserve. An enchanted place that will be the background for the most beautiful day of your life, the Italian wedding you have always dreamt about. You will not have to worry about anything except the choice of the decorations you prefer: drapes, floral ornaments, candles, table arrangements or any other embellishment you have in mind. All the “boring stuff” will concern just Lo Zerbo’s staff, and we will be glad to take care of that for you. In fact, we can provide a specific organization and preparation service, so that your special event will be completely customized and corresponding to your needs and your desires. The complex also includes an ancient Chapel, which dates back to the early decades of the eighteenth century. Inside it, there is a beautiful sixteenth-century fresco now called “Our Lady of Zerbo”. The artwork eventually gave its name both to the church and the whole area. The church is consecrated, thus it is suitable for blessings given by an external priest. The grandeur of the architectures and the intimate, cozy atmosphere that here is created, make Lo Zerbo one of the most fascinating Italian wedding venues for civil marriages and symbolic weddings. The latter type is particularly appreciated by who want to organize an elegant nuptial rite within a structure with a high artistic value. For your wedding album there is no better photo set than the one you can find by getting married in a Catholic church in Italy. We are aware of that, and that’s why at Lo Zerbo you will find exactly what you were looking for. The park covers about 12 acres of land. In the luxury Italian wedding venues “jungle”, it may be hard to pick the right one, that’s why we provide this unique large area that you can customize as you please. 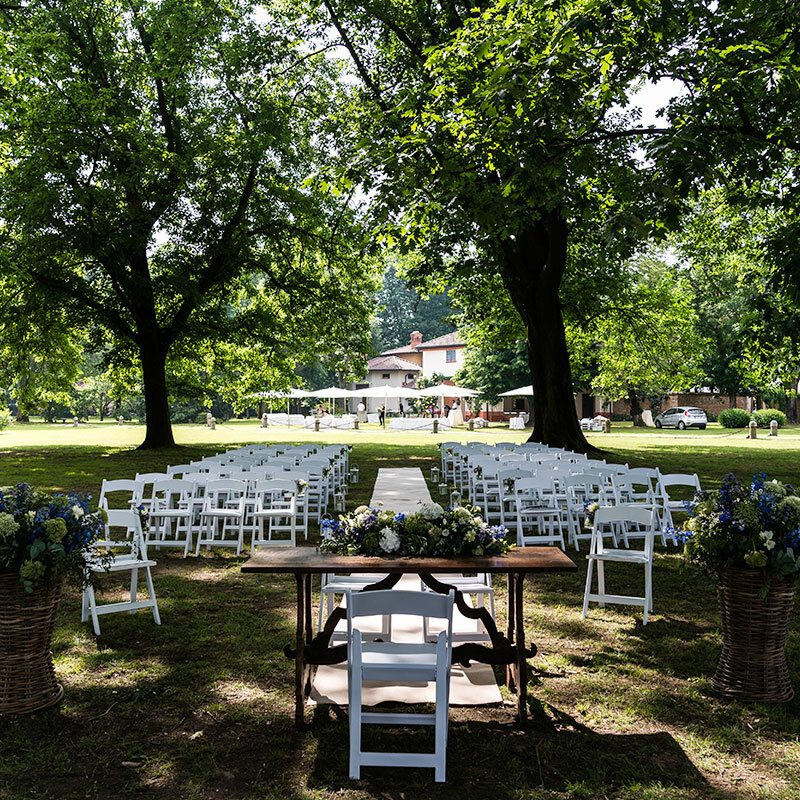 For example, you can place benches and chairs for the guests in the Italian-style garden and get married there like in a fable. Centenary trees and flowerbeds will enhance the atmosphere. After all, what could be more romantic than starting the journey together with your partner in a magical, natural setting? Also, this kind of environment guarantees full customization: the officiant can be a relative or a friend of yours, and you are completely free to choose how to set up music and decorations. It is very important to highlight that a symbolic ceremony is a valid marriage for all legal purposes, so by getting married at Lo Zerbo you will obtain an Italian wedding certificate. It’s up to you the decision of all the details, and the ritual can be enriched by involving guests if you like it, thus creating a high collective emotional involvement. Creativity and attention to detail will be the cores of your unique Italian outdoor wedding. Villa Lo Zerbo, designed in the 60s by renowned Italian architect Piero Portaluppi, offers all the space you need for your perfect wedding. An atmosphere of prestige and class, but welcoming and homey at the same time. The sumptuous entrance gives access to the ground floor rooms, including the dining room, lounge, and study-library. The furniture is of classic style and perfectly maintained. On the ground floor, a number of 180- 200 guests can be accommodated for a standing buffet. This is an informal, yet elegant, solution if you want to organize a pre-refreshing aperitif for your guests. 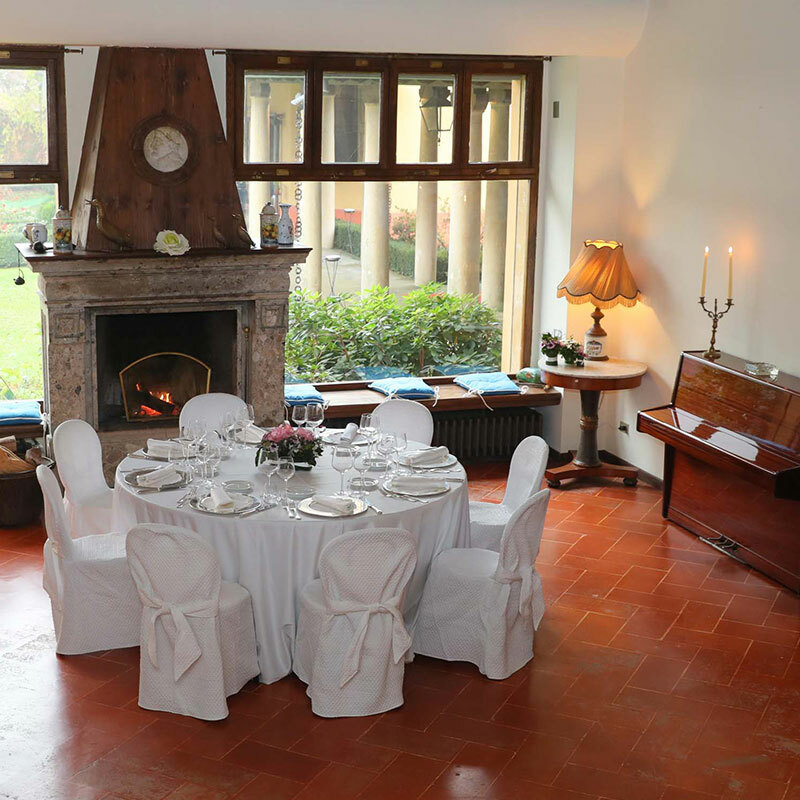 Alternatively, at Lo Zerbo Villa 120-140 seated people can easily eat, if you are looking for an Italian Villa wedding venue that can accommodate seating guests. Important added values are the four rooms on the first floor, in which four to eight guests can sleep. This allows the bride and groom, or maybe the best men and maid of honors, to stay overnight in the Villa. An excellent choice if you plan to have your wedding in a venue definitely close to Lake Como and are planning to visit the area. Each room provides every comfort and is equipped with a private bathroom and toilet. The magic of your wedding will continue the next morning. In fact, breakfast will be offered to every guest of the Villa, and you will have the chance to eat it while looking at the wonderful and romantic rose garden located outside the structure. Finally, the large parking area, usable by all the guests. By being a fully-equipped luxury wedding venue, Lo Zerbo allows you to set up refreshments and receptions as well. The tensile structure, located in the inner courtyard, can accommodate up to 200 seated guests. The versatility of this space also makes it perfect to be transformed into a dance floor for a moment of joy and celebration to spend with friends and family after the function. Again, you can use these areas as you wish, thus creating an original and unique wedding. We will help you to achieve such a perfection by relying on our entrusted suppliers. For example, you can count on Lo Zerbo’s staff for the catering and buffet, floral arrangements and also to find a wedding photographer in Italy.